At long last, Elon Musk — the crown prince of Silicon Valley — now has a gloomy theme song for tech fanboys to bump in their Tesla Model Xs on hazy San Francisco mornings. The song, aptly titled “Elon Musk Is Making Me Sad,” is the brainchild of ex-Weezer bassist Matt Sharp and his band The Rentals. Sharp told TheWrap that the song is more a “fable” about two product-of-divorce kids, born around the same time, that started playing with a Commodore VIC-20 home computer. While the song wasn’t inspired by Musk, Sharp said the serial entrepreneur represents a modern version of “Jesus Christ Superstar” — seemingly able to do anything. The 48-year-old frontman also pointed to his dad’s “very sweet and pure” fascination with John F. Kennedy, fortified by the 35th president’s push towards the moon. 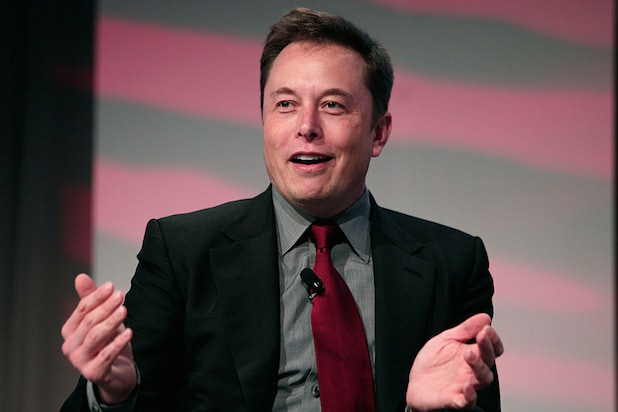 Now, Sharp sees Musk and his goal of colonizing Mars as a 21st Century remix of JFK. So does that mean Sharp would be down to sign up for Musk’s maiden voyage to the red planet? Not exactly. Check out the song and lyrics below. When it’s time to say goodbye, what will they write on my tombstone? Yes! I’ll try, Love! I swear to you I can thrive, Love! Oh, that Elon! Sent me all the way, Son, a hundred thirty-nine million miles away! You have the power to save, you have the power to save me! And then I will say, I went to Mars and won the race! Yeah, I will say, I took first-place! Oh, I rode that Old Heart of Gold the whole way and in the end, hey! I won the race! Oh, oh! Elon! Let me win the race; win the race! Oh, Elon! Let me take first place! Elon! Tell me I am saved; I am saved! Elon tell me I am saved! You have the power to save; you have the power to save me! You have the power to save!